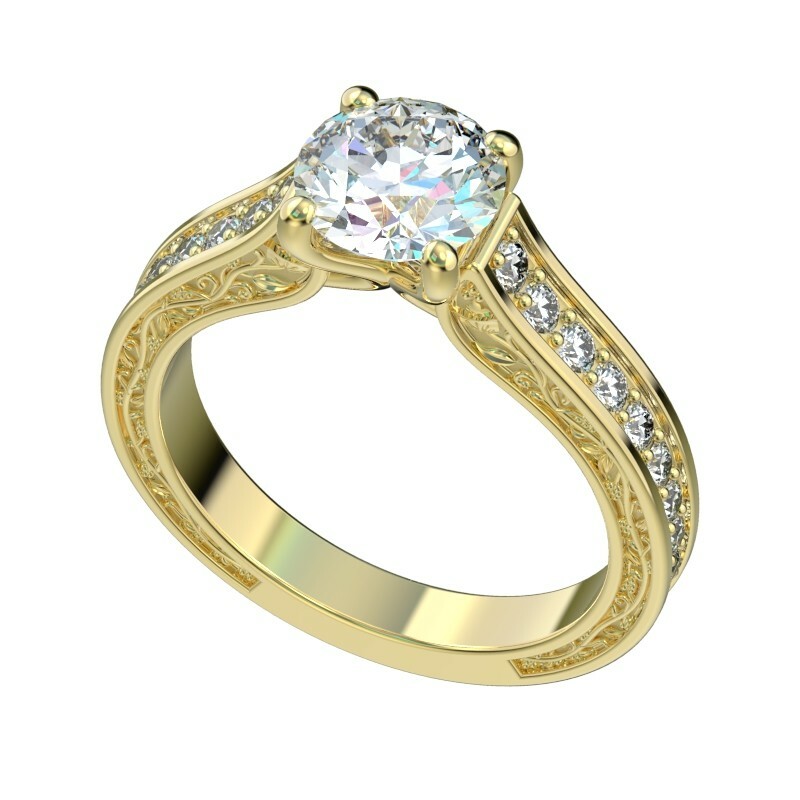 A vintage spin on our popular faux trellis engagement ring design contains graduated side diamonds along with an engraved pattern of vines on both sides of the band. The diamonds and vine pattern each go 3/4 of the way around the band with larger stones than style R1057 for a wider band. 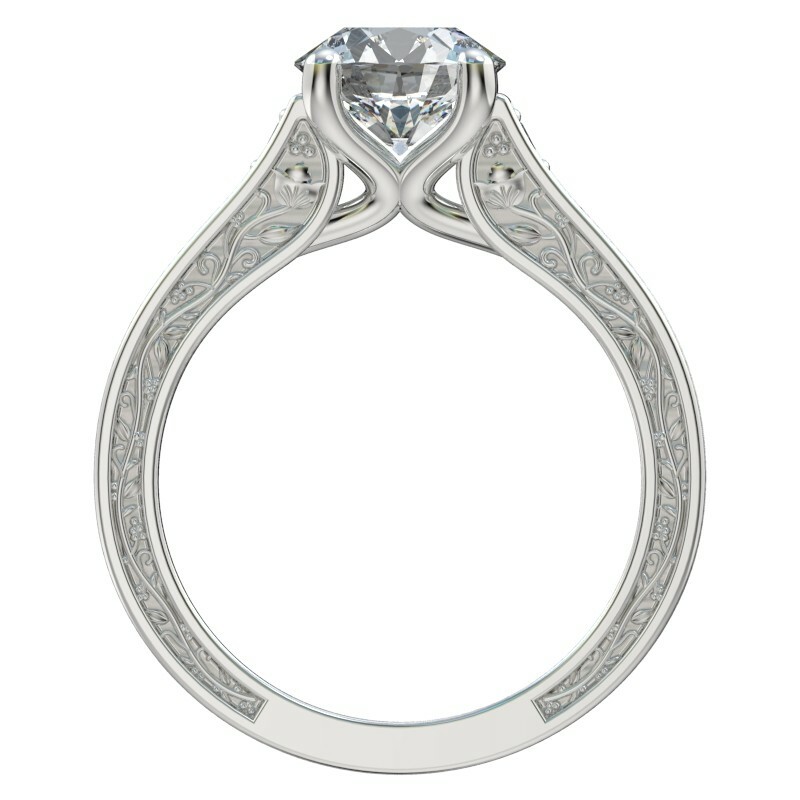 A vintage spin on our popular faux trellis engagement ring design contains graduated side diamonds along with an engraved pattern of vines on both sides of the band. The diamonds and vine pattern each go 3/4 of the way around the band with larger stones than style R1057 for a wider band. 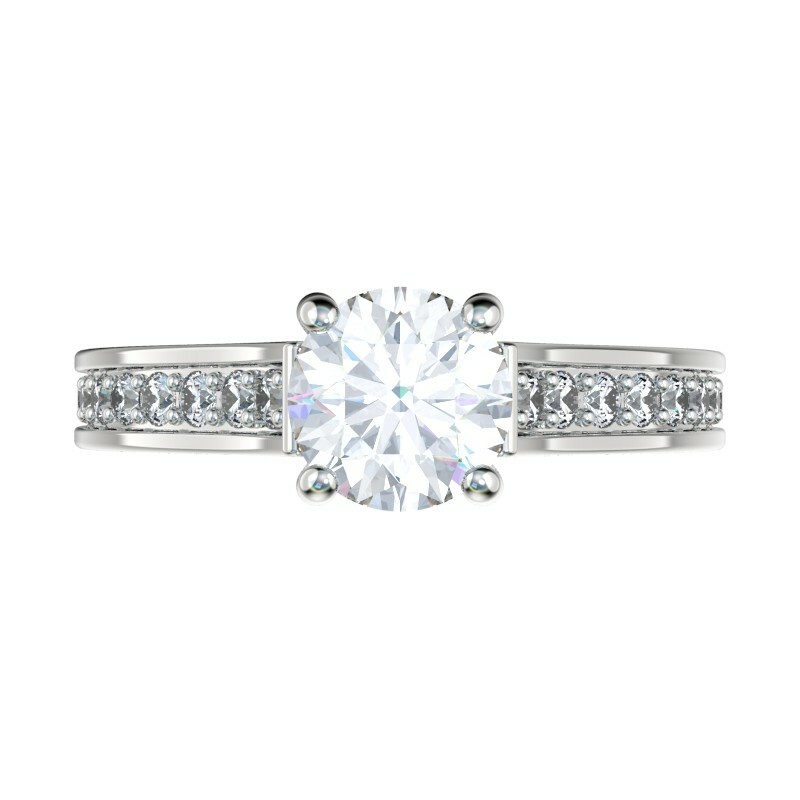 The setting is available in Platinum, White Gold (14K or 18K), Yellow Gold (14K or 18K) or Rose Gold (14K) and accommodates round diamonds from .25ct and above.